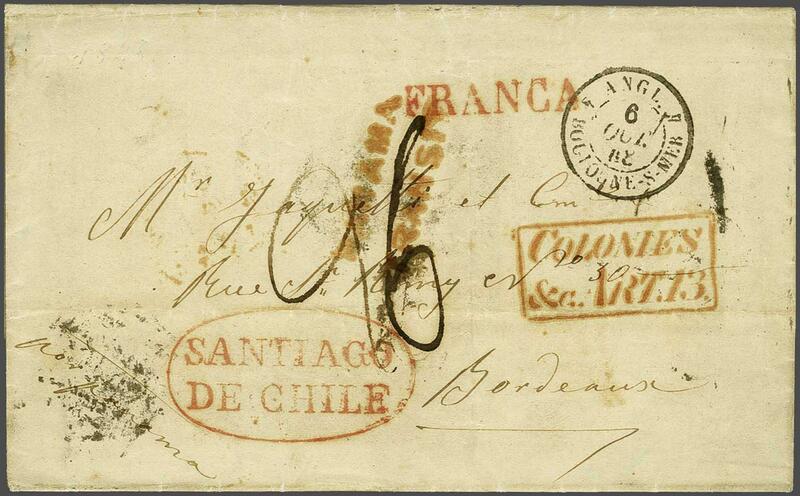 1848 (July 28): Entire letter from Santiago to Bordeaux, France struck with oval SANTIAGO / DE CHILE despatch in red with straight line FRANCA above. 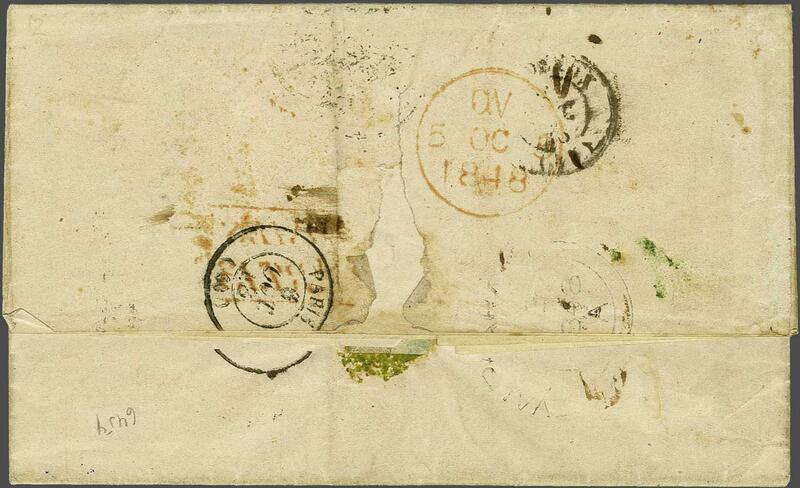 Reverse with British P.O. 'Valparaiso' cds in black. Two line PANAMA / TRANSIT in red and thence via London (Oct 5) where framed COLONIES / &c. ART 13 applied in red, thence via Boulogne (Oct 6).